Nearly 60 nurse leaders from around the country attended a Culture of Health workshop June 21-22 co-hosted by the Center to Champion Nursing in America and the Nebraska Action Coalition – Future of Nursing.  Three representatives from the Oregon Action Coalition (OAC) attended including OAC Co-Lead Jana Bitton, MPA, Steering Committee Member Mallie Kozy, PhD, RN, and Breakthrough Leader of Nursing Jake Creviston, PMHNP, DNP, RN. “It was great to see so many people from around the country come together to discuss this new focus,” said Bitton. The Culture of Health is a Robert Wood Johnson Foundation initiative aimed at making all Americans healthier by focusing on action areas to promote health and wellness. According to RWJF Senior Advisor for Nursing Susan B. Hassmiller, PhD, RN, FAAN, nurses are the obvious choice to build a culture of health, and the recommendations from the Institute of Medicine (IOM) report to advance nursing are instrumental to prepare nurses for this important work. “If nurses are to build a culture of health, we will need the skills identified in the IOM report,” Hassmiller said. The workshop introduced participants to key messages about the Culture of Health, highlighted examples of nurse-led projects taking place throughout the nation, and emphasized the need for partners outside of nursing.